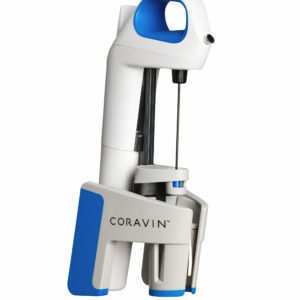 Personalize your style – Choose from a variety of unique and sophisticated colors – all enhanced with sleek chrome accents. 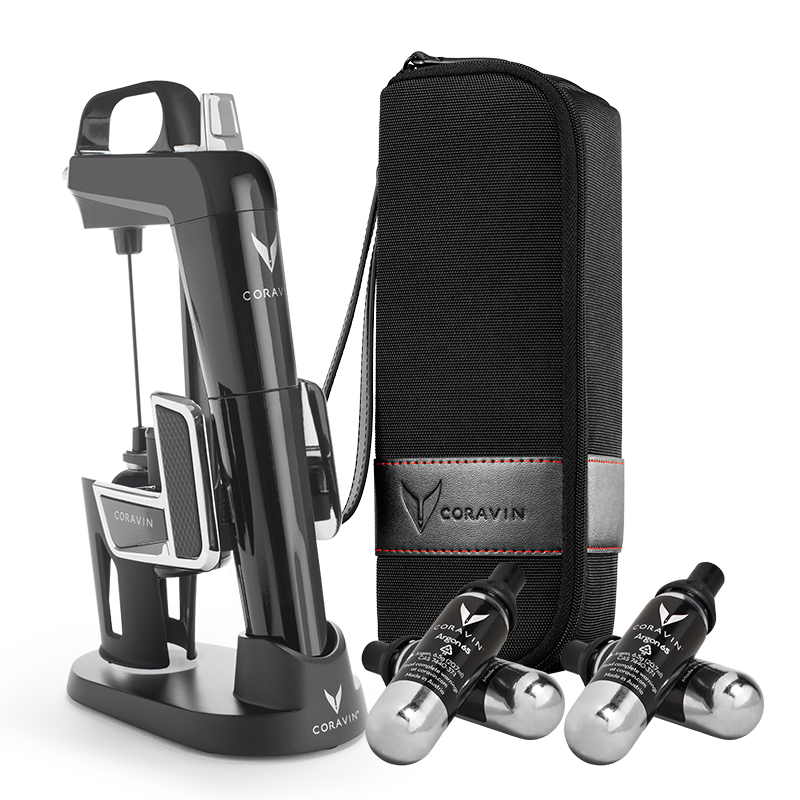 4 Premium Coravin Capsules – Specifically designed for use with all Coravin Systems, Coravin Capsules contain only the purest argon gas and are the power source of the Coravin System as they pressurize bottles and allow wine to freely flow. 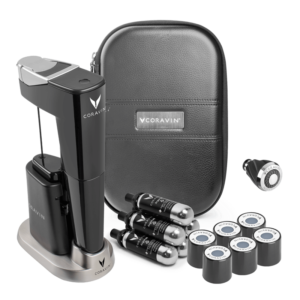 Stylish Carry Case – This durable and stylish carry case, soft-lined and modern, is perfect to bring your Coravin System with you anywhere you go. 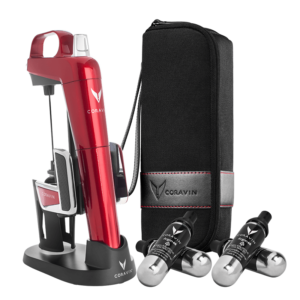 It conveniently holds one Coravin system and two Coravin Capsules to make sure you enjoy a by the glass experience anywhere, anytime, on your terms. 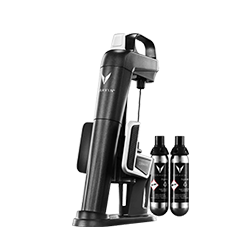 Elegant Classic Base – Made of sturdy zinc with a classic matted black finish, this base elegantly showcases your Coravin System in style.